The Chairholder of the Baillet-Latour Chair for EU-China Relations, Professor Jing MEN, together with Research Fellow Dr Duncan FREEMAN and Research Assistant Francesco Saverio MONTESANO, recently participated in the International Symposium "China and Europe on the 40th Anniversary of the Beginning of China’s Reform and Opening: Achievements, Challenges, and Prospects", held on 29 October 2018 at the Shanghai International Studies University (SISU). The event was jointly organised by SISU, Shanghai Institute for European Studies and by the College of Europe. Apart from two keynote speeches, made respectively by Mr ZHANG Feng, Vice-President of the Shanghai International Studies University and Mr Asad BEG, Minister Counsellor, Head of Political, Press and Information section, Delegation of the European Union to China, the conference included five panels, bringing together over twenty European and Chinese scholars and experts to explore the different facets (economic, political, scientific) of EU-China relations. 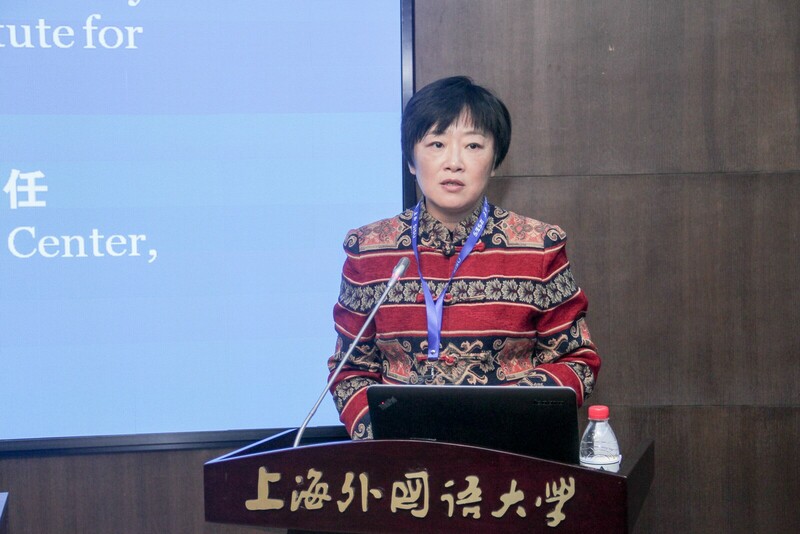 Professor MEN chaired the panel on "The Challenges and Prospects of the Trade and Investment Relations between China and Europe", and delivered the concluding remarks at the end of the symposium. 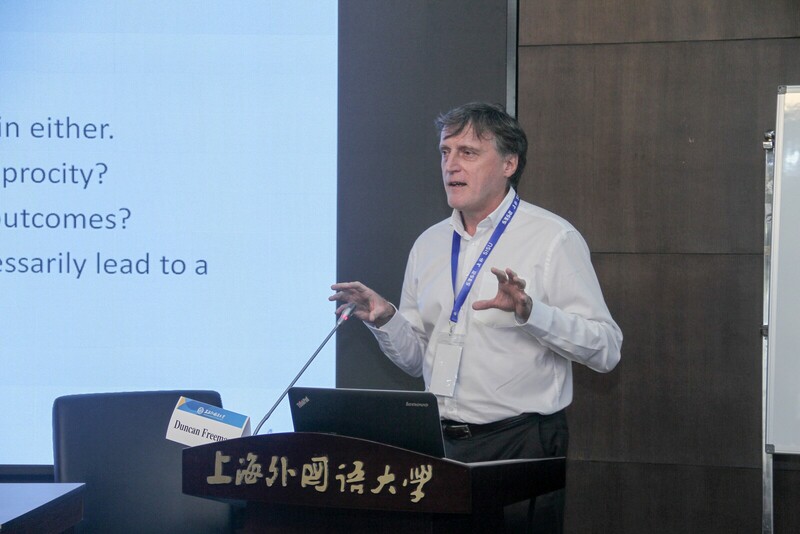 Dr FREEMAN presented a paper on "Reciprocity and Interdependence: Developments and Challenges in the EU-China Relationship". 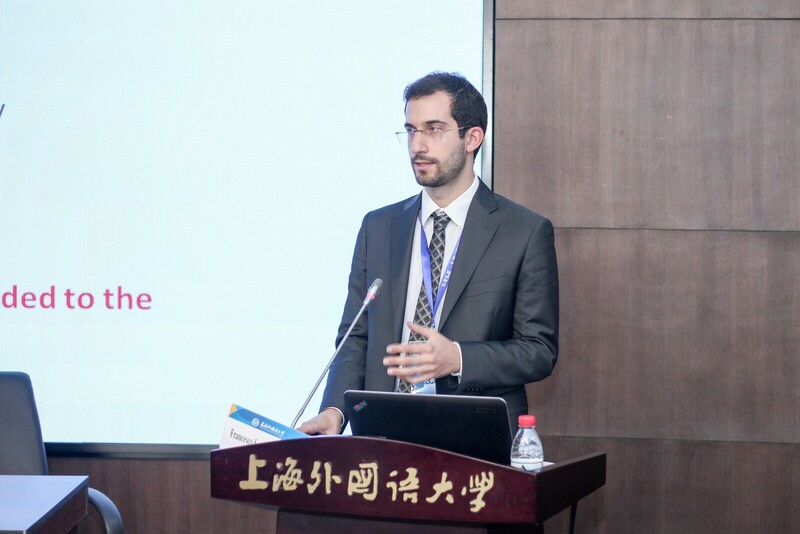 Mr MONTESANO presented a paper on "Caught between a Withdrawing Hegemon and an Emerging Leader – What Strategic Role for the European Union in the Evolving US-China-EU ‘triangle’".